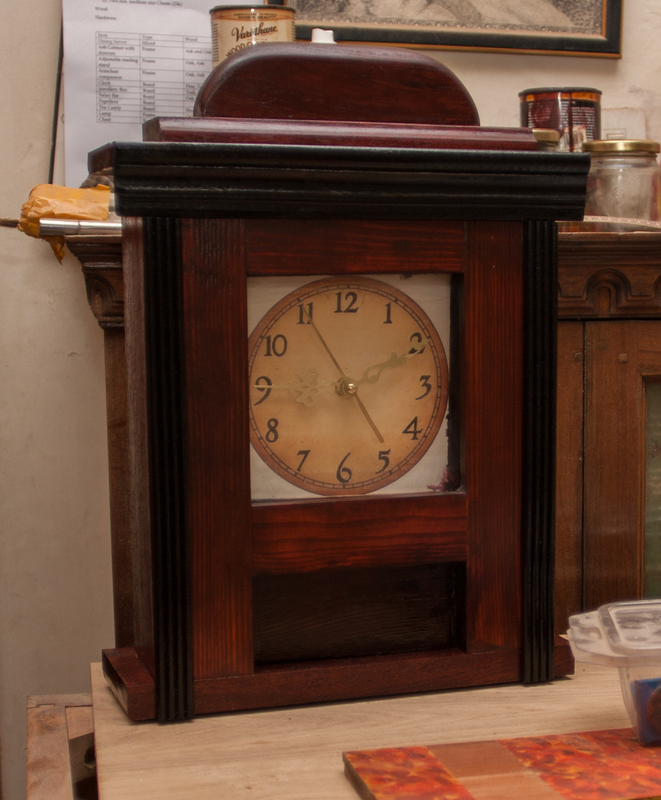 Making wooden clocks are fun and relatively easy. This month I have been making several clocks to gift people in the festival season. 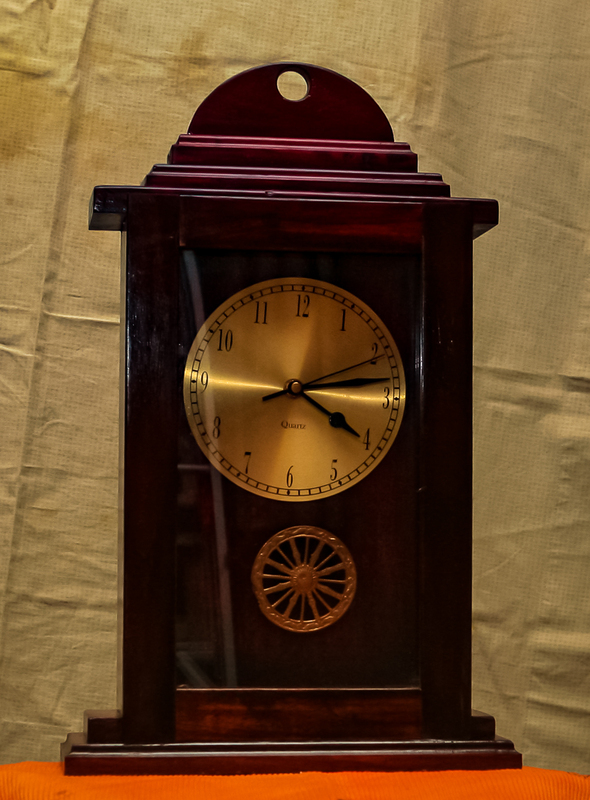 At the core of clock making is the clock movement which does the job of moving the hands and showing time accurately. In earlier times, the movement would be a complex mechanical contraption whereas today it is a small electronic device called Quartz movement. This is why most clock dials have Quartz printed on them. These movements are widely available in India. However, I would advise woodworkers here to avoid buying them from amazon.in as the prices being charged there are ridiculous - anything between Rs 150 and 700 or more for a 70 rupee movement! Some of the better Quartz clock movement makers include Seiko (Japan), Takane (USA) and Hermle (Germany). A number of Chinese companies also make clock movements, many of which are of excellent quality and give accurate time. The better movements are however more robust and reliable. 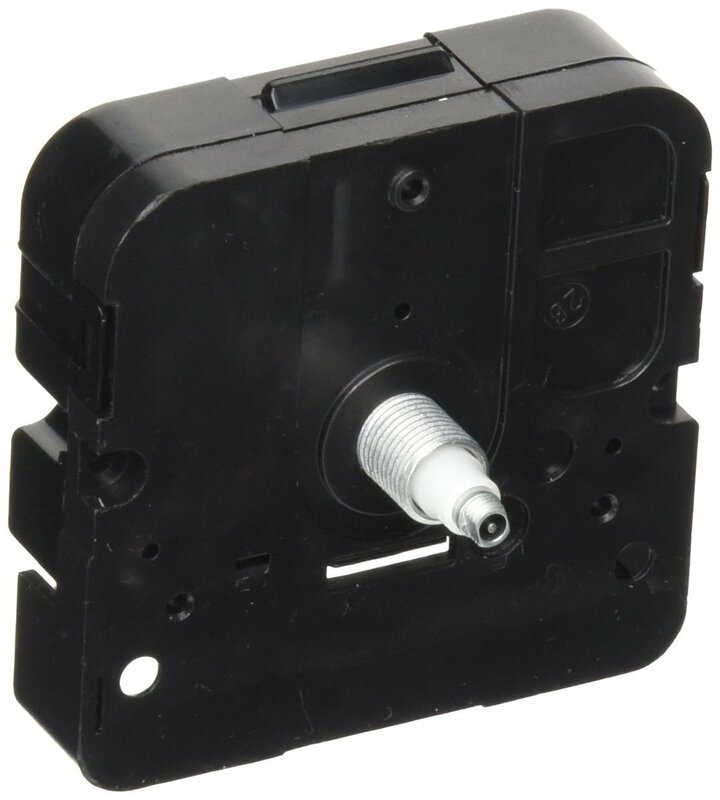 The Takane movements, for example, come with a 10-year warranty and is rated to last 10 years. The better movements are difficult to procure in India while the Chinese ones are easily available for seventy rupees or so a piece from Chinese e-commerce sites such as aliexpress.com. The better and far more expensive clocks are made with mechanical clock movements which require winding. 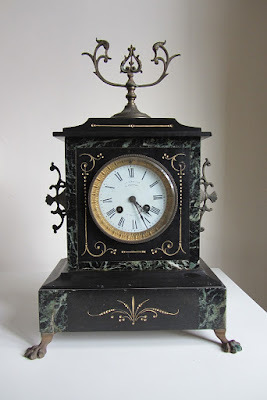 Clock connoisseurs prefer these types of clocks as opposed to those run by Quartz movements. Very few companies make mechanical movements these days and those that do charge a lot. 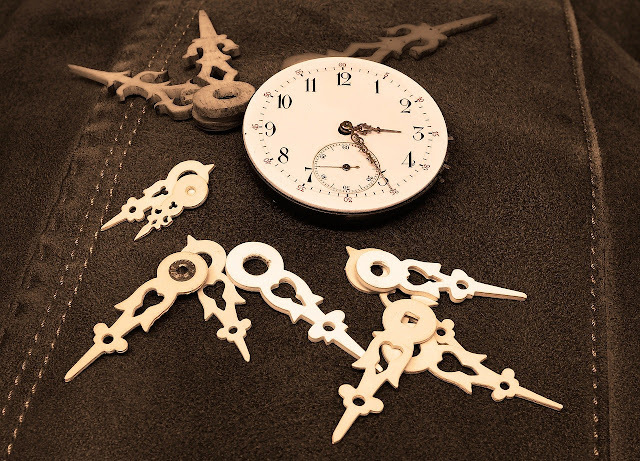 Its far simpler to use Quartz movements, especially for hobbyists. The Quartz movement is enclosed in a small plastic box that must be familiar to most people these days as virtually all our clocks have a similar mechanism. A shaft sticks out of the movement and this is where the hour, minute and seconds hands are attached. A standard AA battery is required to power the movement. While choosing a clock movement ensure the length of the shaft is appropriate for the material you plan to use as a dial and its backing. If the shaft is not long enough, it will not stick out as required. 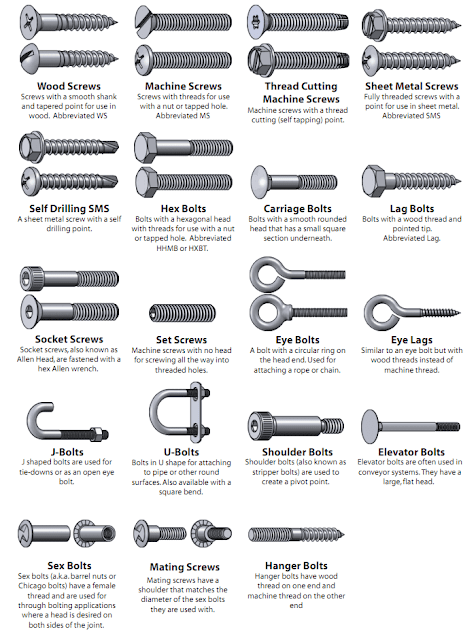 Most shafts are pretty short - about an eighth of an inch - and will not pass through quarter inch plywood. The first few movements I bought had these short shafts and I had to rout a recess in the plywood to mount the movement. Some movements come with shafts that are as long as three quarters of an inch. 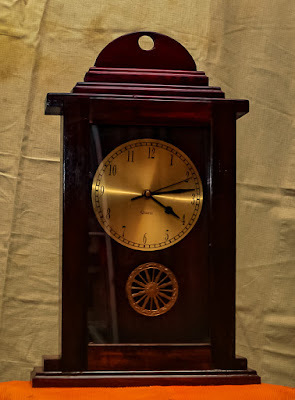 This might not be appropriate for a thin dial mounted on 6mm or quarter inch plywood as it would stick out too much and look strange when the clock hands are mounted. In other words, the shaft length should match the thickness of the dial material. The movement is put in place by pushing the shaft through a hole in the dial and securing it with a small nut that is supplied with the movement. The clock hands are attached after the nut. 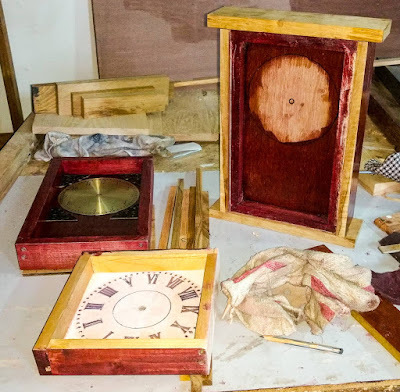 In its simplest form, a clock can be made by attaching the clock movement to a plywood board through which a hole has been drilled. 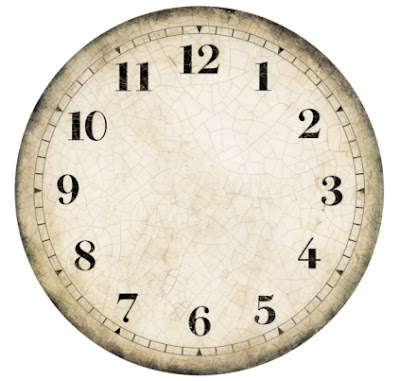 A clock dial and numbers could be painted on the plywood and hung on the wall. This is a fun and easy project especially for children and requires zero skill. Attractive clock dials can also be printed with an inkjet or laser printer. There are plenty of free designs available on the Internet and for slightly more creative people designing great looking clock dials could be a project in itself. The other alternative is to purchase clock dials printed on metal and plastic. I bought some printed on brass sheets to give my clocks a traditional look. Traditionally clock makers have fabricated elaborate casings to mount the dial and clock mechanism. All kinds of ornaments and embellishments were used to decorate them. Some are masterpieces sold by auctioneers such as Christies for lakhs of rupees. I have made some simple designs for clock casings and am trying out different ones. I find clock making quite absorbing and satisfying. 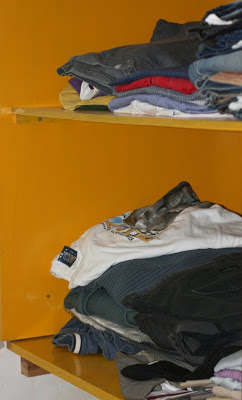 Apart from designs, it allows me to experiment with different finishes and colours. The process is only limited by one's imagination. Where can you get brass dials? A friend got it for me from England but I am sure you could get them locally where clock parts are sold. Very beautiful work, its looking so nice.